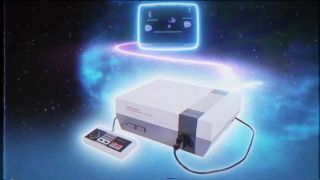 The NES Classic Edition, an HDMI-compatible version of Nintendo's … well, classic NES console, has been an absolute pain to procure this holiday season. If you live in the southeast United States though, you might be in luck: Amazon has the system in stock and available to purchase, and is even offering free 2-hour delivery. But, and here's the kicker, only if you live in Washington D.C., Virginia Beach, Richmond, Baltimore, Raleigh, Nashville, Atlanta, Miami, Tampa, or Orlando. All you need to do is go to primenow.amazon.com, and enter your zip code. The site will then tell you if you can get the coveted console in your area. The normally $60 mini-system, which comes loaded with 30 games, has been going for upward of $200 on eBay and via secondhand sellers. In other words, if you're able to get while the getting's good, well… I'd heavily recommend it.